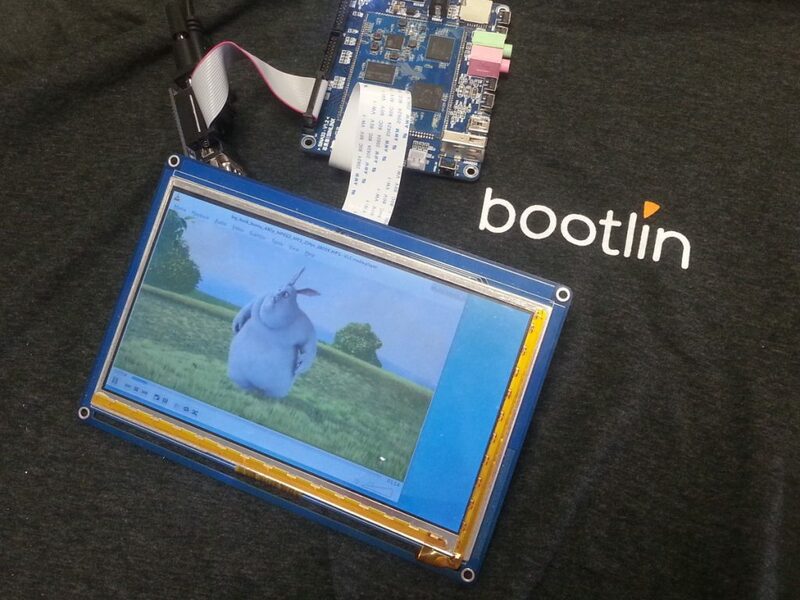 Just over a week ago, I started my internship focused on adding upstream Linux kernel support for the Allwinner VPU at Bootlin’s Toulouse office. The team has been super-friendly and very helpful to help me get settled and I’m definitely happy about moving to Toulouse for the occasion! This first week of work was focused on studying and rebasing the work done by Florent Revest a year and a half ago. As a main development target, I went for an A33-based board, the SinA33 from Sinlinx. Florent’s patches for the sunxi-cedrus driver were rebased against the latest release candidate version of Linus’ tree, v4.16-rc4. The driver was then adapted to use the latest version of the V4L2 request API, a crucial piece of plumbing needed to provide coherency between setting specific controls for the media stream and the input/output buffers that these controls are related to. A few bugs needed fixing along the way, in order to avoid memory corruptions (use-after-free) and to properly schedule the VPU to run when a request is submitted. With these fixes the driver was ready, so it was sent for review on the linux-media mailing list. On the userspace side, the cedrus-specific libva was also updated to use the latest version of the request API. The next step in the pipeline is to use a common buffer for the VPU’s decoded frame and the display controller’s plane, using dmabuf. This should bring a significant performance improvement and eventually allow for hardware-based scaling when decoding videos through the standard DRM/KMS interfaces. However, this requires adding support for the specific format used by the VPU (a multiplanar NV12 format with 32×32 tiles) into the display controller code.